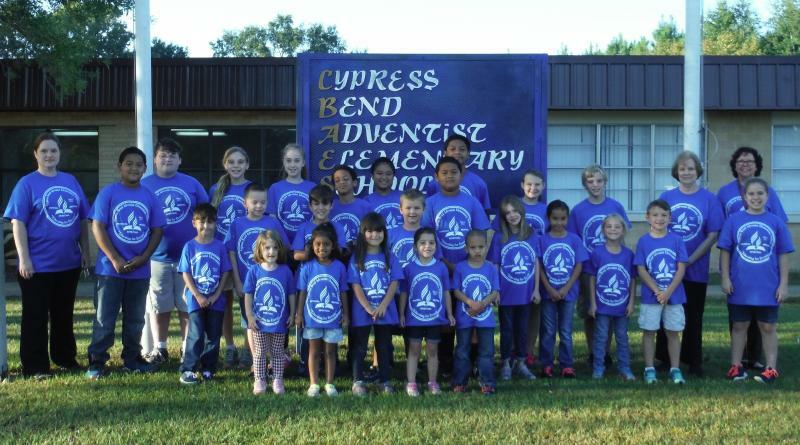 Cypress Bend Adventist Elementary School is located in beautiful northeast Texas in a small community, called Berea, about 5 miles outside the beautiful historical town of Jefferson. We have been operating since 1914. We are a small private christian school providing education for eternity for Pre-K through 8th grades. Our teachers and staff are dedicated to teaching children and ensuring they receive an excellent christian education. We invite you to find out more about our school. Call us to schedule a visit or explore online. To see what is happening at our school you can check our calendar, visit our classrooms or see what our alumni are doing. Our school is part of the world-wide Seventh-day Adventist school network. The Seventh-day Adventist educational system includes Elementary Schools, High Schools, Colleges and Universities in countries around the world. Click Here to Register for the 5K! Pay your tuition here or make a donation to our Worthy Student Fund! We are now accepting tuition payments online. Please click the Pay Now button below to pay your child's tuition. If you would like to make a donation to our worthy student fund, please enter "Worthy Student" in the student name field and "Donate" in the Tuition Month field.